Using its historic past to best advantage, some businesses in Pioche, Nevada still have a lonely few of the above T-shirts available. For some reason, the town of Pioche likes to make a really big deal of Labor Day, with a parade and all manner of events. You can view 2015’s schedule here. Just for fun, their basic website is here, and I recommend pulling it up solely to watch the two tiny promotional videos in the upper left corner. Thirty seconds each, and very, very well done. The whole thing sounds pretty interesting to me! P.S. : The “Sunrise Salute” on Labor Day itself is pretty impressive, I’ll bet. Last Thursday mid-morning, there occurred the most powerful explosion I’ve heard, not having had the honor to serve in ‘Nam as a lucky teen draftee. From somewhere up on the mountain, it shook the air all around and a family of deer suddenly appeared coming from town, went through the campground, and trotted on out. When I got out of the trailer to look for maybe a blown residential propane tank and smoke, everything looked perfectly normal and stayed so. No sirens, no disaster, no nothing. Mining? Perhaps a little landscape renovation? I’ll never know, but it was BIG. 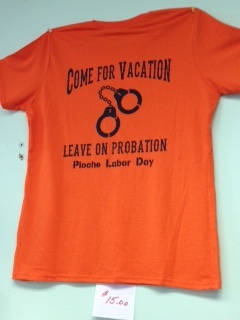 Pioche’s Labor Day wakeup salute is described as “You’ll Hear It and Feel It”, so I have no doubt that they’re not exaggerating.